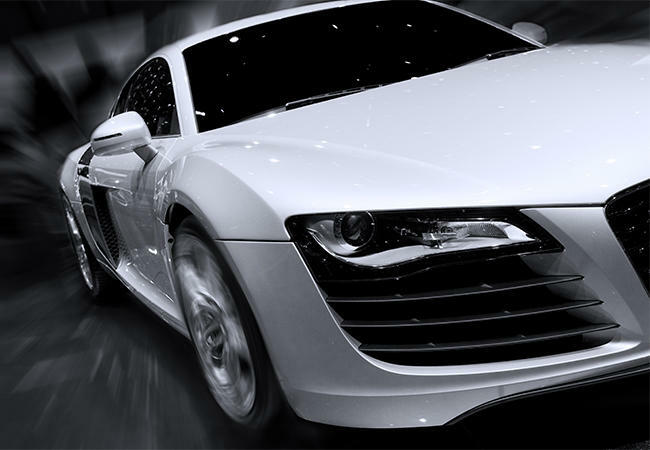 Paint protection is a clear polyurethane film that is applied to any area of your vehicle. The material is porous enough to allow oxygen to penetrate, allowing your paint to fade naturally, but not too much, keeping out the dirt and debris that cause wear and scratches. Constructed from a combination of advanced elastomeric polymers, Xpel's special clear coat not only prevents the film from discoloring due to contamination and ultra-violet radiation, but also heals itself from swirl marks and light scratches that can occur through ordinary washing and drying or daily driving. The enhanced workability of Xpel adhesive allows the film to be contoured around the most complex surfaces without distortion—which means you show off a perfect finish, not seams, wrinkles, and ripples. Better yet, it also comes with a full 10-year warranty against yellowing, discoloration, peeling, cracking and hazing. See more examples of our work here. The answer is clear. Get a quote today.